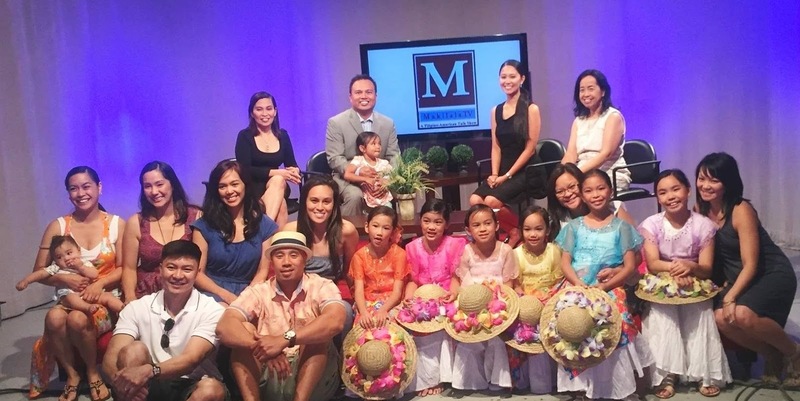 New York, NY – Makilala TV, the first Filipino American TV Talk Show in the NY Metro area, taped their newest episode on balancing the culture and nuances of Filipino parenting in america. This episode will air in September through Queens Public Television. Director Maricor Fernandez, and Co-Hosts Cristina Pastor, Jen Furer, and Rachelle Ocampo chose to analyze the tradition of respect for the elderly to highlight the role of parental figures in the community. After interviewing parents at the 25th PAFCOM Parade & Festival, Makilala TV co-host Rachelle Ocampo reaffirmed that the most common response to the question of what is one Filipino trait that you’d want your child to preserve, it is respect for the elderly. This is no surprise since there are several traditions that uphold this trait. For example, saying “po” at the end of a reply or doing “Mano Po” (holding an elder’s hand to one’s forehead) as a sign of respect to one’s elders. The guest speakers included Rio Guerrero and Marivir Montebon with a special performance by the students from The Filipino School of New York and New Jersey. The taping was held at the Queens Public Television studios in Flushing, New York, one of the public access networks that airs Makilala TV. Rio Guerrero is a prominent attorney in the New York City area and the founding partner at Guerrero Yee LLP. In addition to practicing law, Rio taught business immigration law at CUNY as well as served on the Immigration and Nationality Law Committee. Rio Guerrero is a proud second-generation Filipino American. He and his wife Joan, also a second-generation Filipina-American, were married ten years ago. Long-time residents of New York City, they recently moved their family to a northern New Jersey suburb. Rio commutes daily to NYC to run his immigration law firm, while Joan stays home to care for their two children, ages 7 and 3. Marivir Montebon is a writer and journalist at heart. Starting a career in journalism immediately after college in Cebu, she looks at writing as a both work and leisure. It is her life. She is publisher of her own online magazine 3-year-old OSM! and author of three books, including “Retracing our Roots: A Journey into Cebu’s Precolonial and Colonial Past.” She is a mother of 22 year old daughter Leani. The Filipino School of New York and New Jersey seeks to promote the culture, traditions, and language of the Philippines in the Greater New York City Area. The students performed sulbi, a traditional Filipino dance that honors the Holy Cross of Alitagtag.